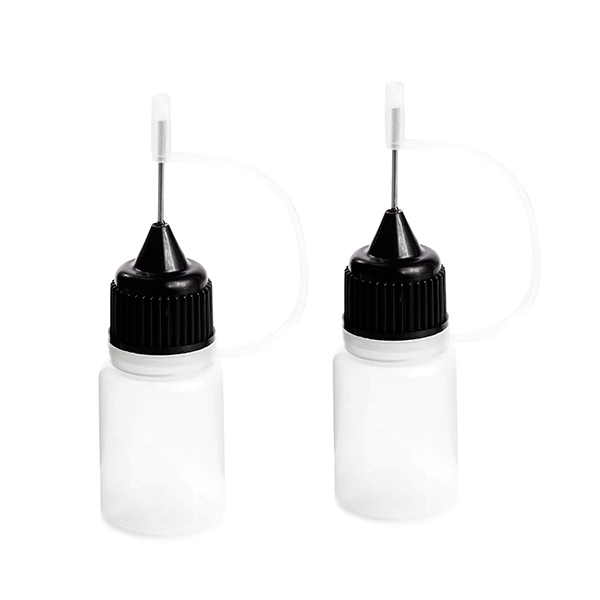 MR-DBS5 Drop Bottle 5ml 2pcs ドロップボトル 5ml （2個入り）-Muchmore Racing. Co., Ltd. The Muchmore Racing Drop Bottle is a great container to have on hand for applying oils to hard to reach spots. 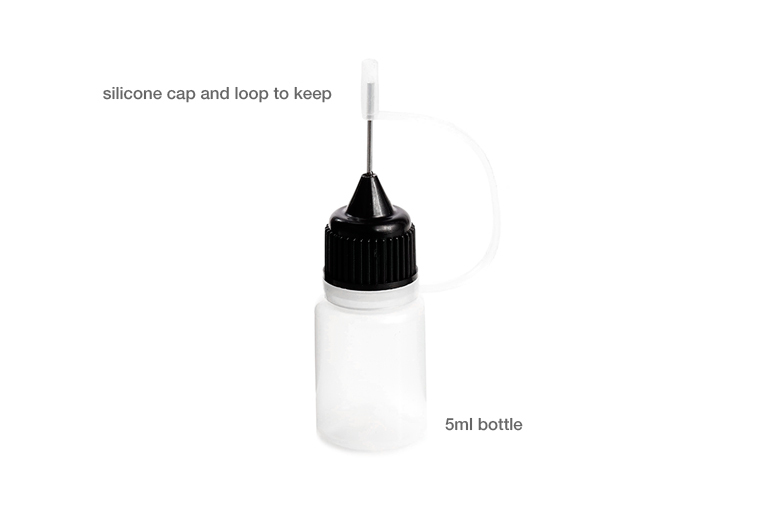 The 5ml bottles include a silicone cap and loop to keep the cap attached to the bottle.